If you’re mid-job search you may want to stop what you’re doing and take a good, long look at your social media profiles—because recruiters sure are. The overwhelming majority of recruiters research candidates on social media at some point during the vetting process. The majority of this research happens before the first interview as part of the screening process. It’s also important to note that most recruiters are planning to invest more money into social and professional networks in an effort to expand their companies, attract top talent, and research candidates thoroughly. 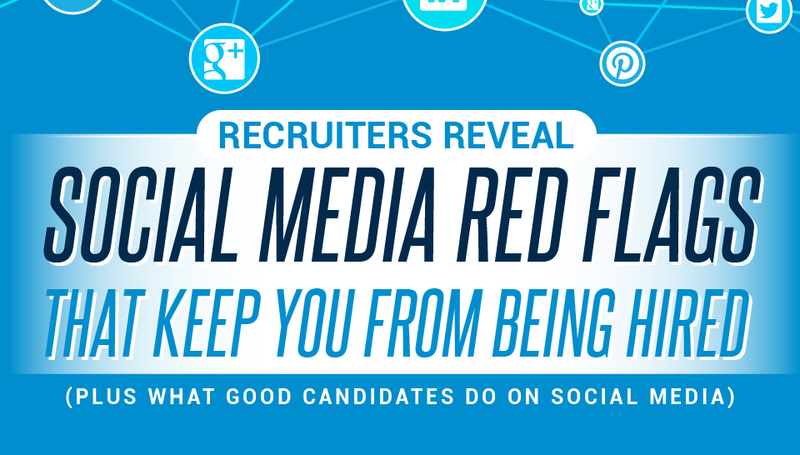 Now that social media and professional networking sites have become an important factor in the hiring process, you need to know which red flags recruiters are searching for and what they deem to be pertinent information about you on social media. Let’s start with the red flags first.